What are the Requirements to Become a Nurse Anesthetist? Nurse anesthesia is an attractive specialization for registered nurses who are critical thinkers and scientific problem solvers, and who are challenged by complex and demanding work. Read on to learn more about what it takes to become a CRNA. Effective nurse anesthetists are alert, detail oriented and able to think on their feet. These advanced practice RNs closely monitor important body functions and make modifications of the anesthetic to maintain the patient’s safety and comfort during surgical procedures. Nurse anesthetists will work with patients scheduled for surgery or obstetrical procedures before, during and after the procedure. They conduct pre-anesthetic assessment and evaluation, plan, administer and monitor the anesthesia, and provide post-anesthesia care. An important part of a Certified Registered Nurse Anesthetist’s (CRNA) work is the emotional support provided to the patient and family. Surgery may be a traumatic experience for the patient, and the comforting presence of a specialty nurse whose support and care one can count on can make a significant difference in the patient’s experience. Work settings for nurse anesthetists include hospital surgical suites, surgical care centers, pain management centers and offices of ophthalmologists, plastic surgeons, podiatrists and dentists. They work in collaboration with other members of the surgical team, sometimes under the direct supervision of anesthesiologists who are MDs, especially in large urban hospitals. However, CRNAs are often the sole anesthesia providers in smaller medical offices and in many rural and urban hospitals. They also serve in military health facilities, and are one of the oldest serving segments of nurses in the U.S. military. What Education Is Required for Nurse Anesthetists? The traditional training required of nurse anesthetists has been a Master’s degree, at the completion of which a certification examination is taken to become a certified registered nurse anesthetist (CRNA). These MSN programs are usually 28 to 30 months in length and provide the scientific base and clinical training and experience for anesthetic practice. In 2015, the Council on Accreditation of Nurse Anesthesia Educational Programs (COA) issued a requirement that by 2025, all nurse anesthetists who enter the field possess a doctorate degree. Practicing CRNAs with an MSN will be grandfathered in when this change takes effect. 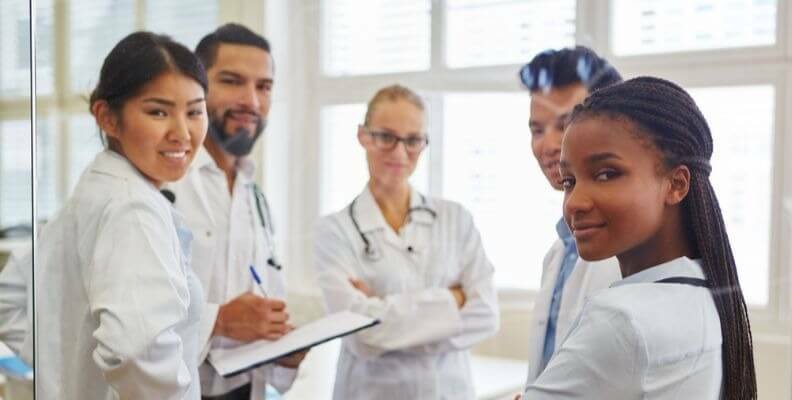 Nurse anesthesia MSN programs countrywide are shifting to Doctor of Nursing Practice (DNP) or Doctor of Nurse Anesthesia Practice (DNAP) programs so that by 2022, all entering students will be enrolled in doctorate programs. In 2017, 61 of the 117 nurse anesthesia programs in the U.S. now offer the DNP or DNAP. As such, when you select a CRNA program, be sure identify which type of degree you will be earning, and when you can expect to complete your schooling. A current BSN graduate who is interested in becoming a CRNA is faced with the decision of whether to proceed with the traditional MSN program or to enroll in a doctorate program. There are several factors that can help with the decision. Most MSN programs are 28 to 30 months in length, and most DNP/DNAP programs are 36 months in length. The cost in time and money of the additional six to eight months could be offset if you can continue working and complete your first year of study online. Financial assistance may also be available. Keep in mind, it may makes sense to choose the doctorate over the masters, if you intend on eventually completing a terminal degree in nursing. Another factor to consider is the professional thrust intended by requiring the doctorate. The American Association of Nurse Anesthetists (AANA) envisages the doctorate level CRNA to take a leadership role in the future. This expands the CRNA’s ability to bring relevant research and scientific evidence into anesthetic practice, to measure patient outcomes and also to make changes that improve the quality and safety of health care systems. You will see these influences in the typical DNP/DNAP courses below. If you like the one-on-one contact with surgical patients and do not aspire to be a leader for systemic change, the DNP/DNAP program may not appeal to you. You should examine their program and curricula to see what is offered beyond the MSN that would pull you toward that path. The advanced courses in science, clinical courses and research utilization in the doctorate program may be available to you while in the MSN program, and you can access those selectively. The core curriculum for a CRNA program is structured to give you a good grounding in theory and methods, and then to have you apply those in practice. You’ll learn to administer anesthesia, first under preceptorship, in a variety of settings and types of surgeries. Didactic courses are scheduled in the first year, and the clinical practice is started in the second year. The lists below contain the kinds of courses found in the MSN and DNP/DNAP programs. Note that the leadership courses at the doctorate level are placed toward the end of the program; these often take the form of discussions and group study. The doctorate curriculum also includes a capstone project or research paper as a culmination of the program. The Council on Accreditation of Nurse Anesthesia Educational Programs (COA) does not differentiate between the MSN and DNP/DNAP programs in specifying the number of clinical cases and clinical hours that an accredited program must offer. This requirement now stands at a minimum of 600 clinical cases and 2000 clinical hours that include a variety of procedures, techniques and specialty practice in different work settings. Many doctorate programs exceed the 2000 hour requirement. The above gives an idea of the rigor of training that the aspiring nurse anesthetist faces when enrolled in MSN and DNP/DNAP programs for nurse anesthesia. What are the rewards that hard work, commitment and dedication bring in this critically needed profession? View what a CRNA shares as his experience here.